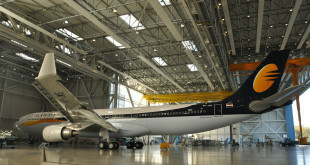 SilkAir, the regional wing of Singapore Airlines (SIA), will launch nonstop air services between Visakhapatnam (VTZ) and Singapore (SIN) from the winter 2012 schedule which commences on 28 October, making it the first airline carrier to provide a nonstop international air connection from Visakhapatnam. The new thrice a week service will be operated with Airbus A319 and A320 aircraft, in a two class configuration. Popularly known as Vizag, Visakhapatnam is the second largest city of Andhra Pradesh and offers a multitude of cultural, historic and natural scenic sites such as the Dolphin’s Nose, a prominent rock promontory, the world famous Araku Valley, a pleasant hill station renowned for its scenic gardens, and also the greatly revered Borra Caves, famous for its spectacular, million-year-old stalactite and stalagmite formations. Vizag is also a major port city, a significant base of the Indian Navy, and home to many heavy engineering industries. 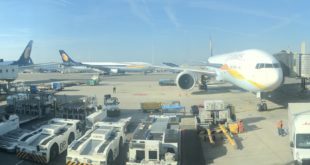 Visakhapatnam will be SilkAir’s eighth destination in India and together with Singapore Airlines’ flights to six other Indian destinations, both airlines will now operate from a total of 11 cities in India. 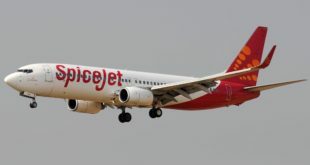 Previous We are giving away two SpiceJet Rs. 1000 discount coupons. Participate now!! !